Stidy's last cartoon for the Witness. We bid farewell to award-winning Witness cartoonist Anthony Stidolph (Stidy), who retires today. Stidy clinched various prestigious accolades for his work including, Vodacom Cartoonist of the Year in 2010 and becoming a finalist in the Mondi Shanduka Newspaper Awards in 2005. 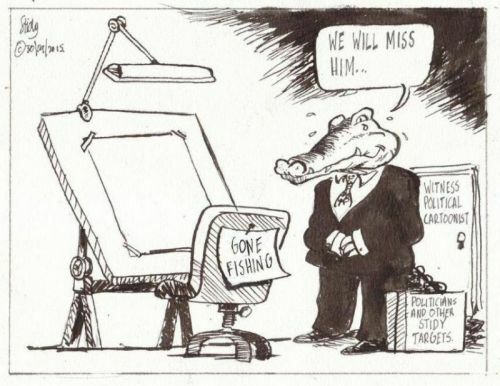 Stidy was appointed as political cartoonist at The Witness 25 years ago, the first to be employed full-time in the job during the paper’s 169-year history.